A Gift Voucher from Dragon Raiders Activity Park allows you to purchase the ideal memorable experience, whether you are looking for that exclusive Christmas present, birthday treat for a loved one or for any special occasion, this unique gift will be one to remember. You can purchase your Gift Voucher over the phone by calling the booking office on 01766 523 119 or visit us onsite. 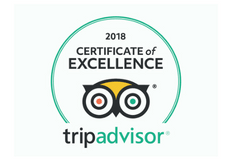 We recommend that each Segway X2 Adventures and Paintball Park recipient to book at least two weeks prior to the date they wish to redeem the experience, as booking is dependant on availability. All Dragon Raiders Activity Park gift vouchers are valid for 12 months from the purchase date. If you are unable to make the experience before the expiry date then you can extend your expiry date for 6 months for an additional charge of £10. Gift vouchers purchased over the phone do incur a postage and admin charge of £3 per transaction and will be posted out to the requested address first class the same day by Royal Mail.